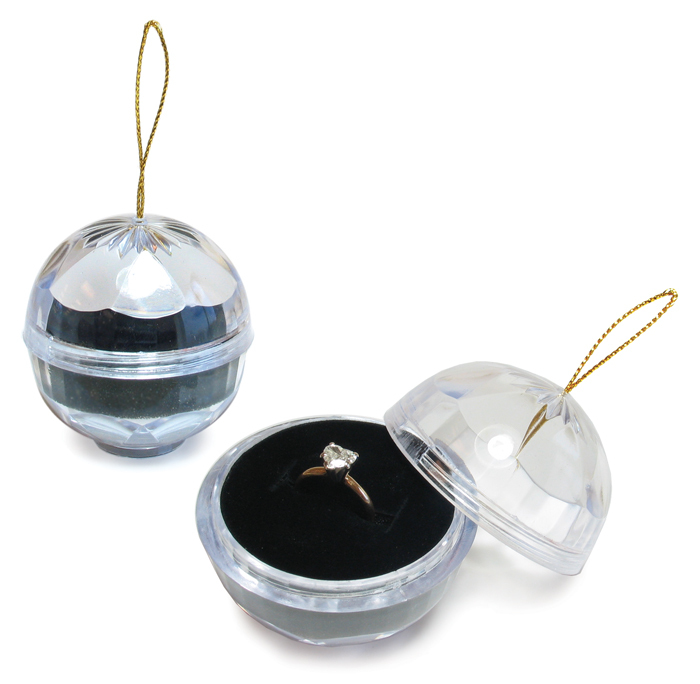 Crystal clear ornament ring box has black velvet pad and outer box. 2-1/4" Diameter. Price per dozen.